Since 2016, the SC Conference has collected demographic information from attendees during the registration process in order to track our progress toward achieving 20% female attendance by 2020. In 2016 and 2017, 13% of attendees were female. (6% of attendees polled did not report their gender.) We encourage all attendees to provide this data during registration. Individual names are not archived, just the aggregate counts. 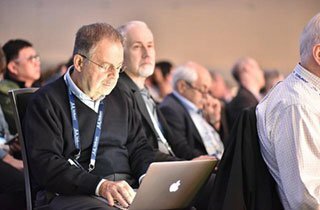 For more information about past conference demographics, see SC16 and SC17. SC tracks the demographics of committee members and reviewers. The gender breakdown is shown for both the committee as a whole and by role (management, technical, administrative). “Not Provided” indicates individuals who did not report their gender. 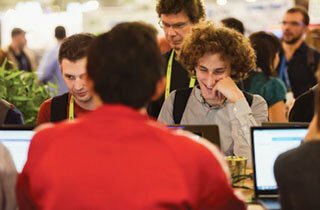 The following statistics were recorded for attendees at SC17. The following figures show the statistics recorded for the general attendee population. Attendees self-identified as part of the registration process. SC17 tracked gender information for all committee members and reviewers, with the following results. The names of speakers and authors were were analyzed to identify the gender breakdown (note that since people were not asked to identify their gender, there is some margin of error in these statistics). “Speakers” included all presenters at keynote, plenary, invited talk, panel, workshop, and tutorial sessions. “Authors” included all names cited by Gordon Bell Prize papers, technical papers, posters, doctoral showcase and visualization showcase submissions that were accepted for presentation. The SC conference began capturing demographic information in 2016. The following figures show the statistics recorded for the general attendee population. Attendees self-identified as part of the registration process. 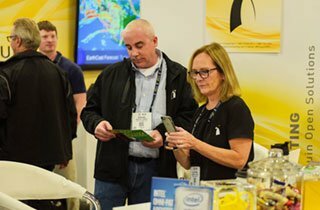 SC16 also tracked gender information for all committee members. Questions concerning SC’s effort to diversify the HPC community, improve inclusivity, and improve the attendee experience?